The Blue Ship takes a bit of finding but it is worth it. It is in the 'middle of nowhere' and does not seem to have changed much in years (and is all the better for it). The main bar dates back to the 15th century although the exterior of the pub is Victorian. Beer is served from two hatches straight from the barrel. 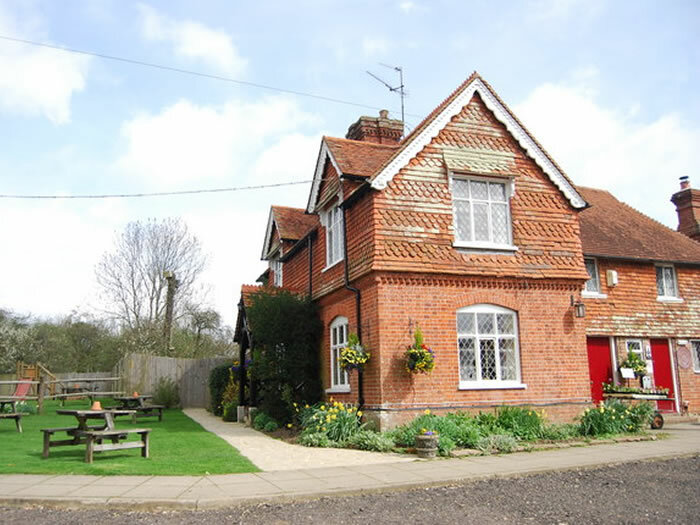 The pub has several small inter-connecting rooms, open fireplace with seats inside and nice garden. Good pub grub food. If you cycled here, it's very tempting to stay here for several beers under the pretence of looking at your map and deciding where to go next! That's my excuse anyway. Image: The Blue Ship, The Haven. Copyright N Chadwick and licensed for reuse under this Creative Commons Licence. A few miles away is the Cricketers Arms at Wisborough Green. And the Red Lyon in Slinfold.